State Rep. André Jacque, who is sponsoring the legislation with state Sen. Chris Kapenga, told Breitbart News that, through the deal, UW has been acting as a contractor for Planned Parenthood. 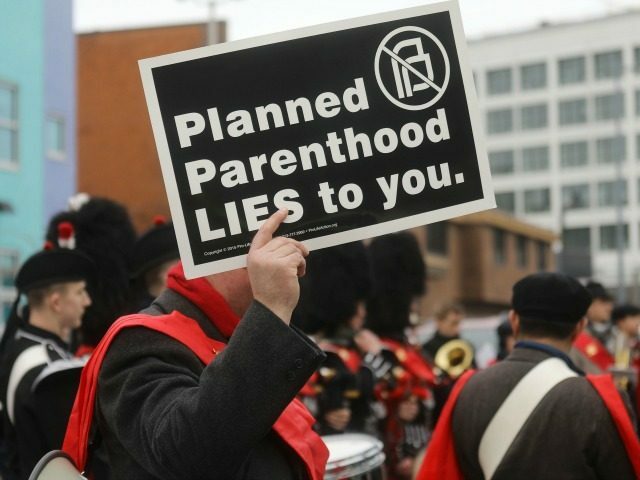 Planned Parenthood had started to do their own abortions and found as their abortionist Dr. Caryn Dutton who – people assumed – was working part-time for Planned Parenthood and part-time for the university. Well, that was not the case: she was working for UW full-time. Planned Parenthood worked out this agreement whereby they were able to purchase her faculty contact hours – hers and others – to perform the abortions. So, Planned Parenthood does not really have its own abortionists. They contract them from UW. They are full-time, salaried, benefited state employees that, in terms of the MOU, are remaining state employees at the same time they’re at Planned Parenthood. Jacque says that, while in research for last session’s legislation dealing with the body parts of aborted babies, he and his colleagues discovered an old Memorandum of Understanding (MOU) between UW and Planned Parenthood. Jacque says Dutton and another UW abortionist were found to be harvesting the body parts of babies they aborted for UW’s experiments. The University of Wisconsin School of Medicine and Public Health (UW SMPH) has deployed both faculty members of its OB/GYN department and medical residents (by way of the Ryan Fellowship) to work at a clinic designated by Planned Parenthood of Wisconsin (PPWI). This relationship appears to have been part of a broader plan that included the procurement and transfer of fetal tissue to UW SMPH for research. The school maintains it has not obtained fetal tissue from PPWI since November 2010. The deployments continue, however. According to Lisa Brunette, a spokeswoman for UW Health, obstetrics-gynecology medical residents receive abortion training at the Planned Parenthood clinic, the Associated Press reports. The school “will vigorously defend its commitment to train medical residents in all specialties, including ob-gyn,” she said. The measure also prohibits UW from entering into contracts or MOUs that make arrangements for employees to perform abortions or train or receive training in performing abortions, unless at a hospital.